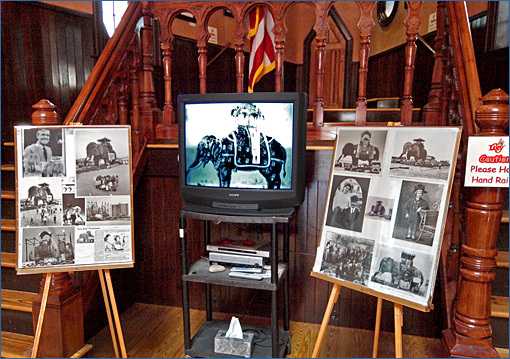 Lucy the Elephant is open daily for tours led by knowledgeable docents. 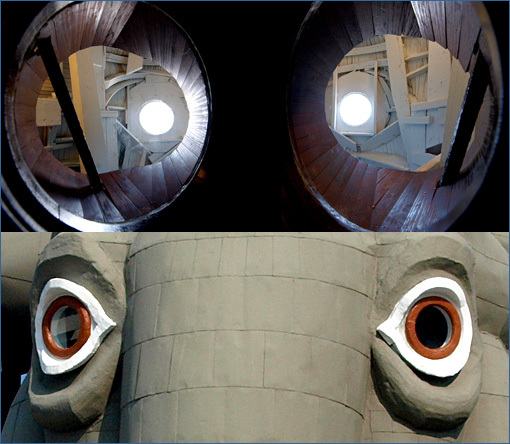 Painted "gastric pink," the belly of the beast (above) is accessed via spiral staircases in its ten-foot-diameter legs. Both stairwells enter beyond the balustrade visible at the far, rump end of the main room (This photo was taken from inside Lucy's head). The two center doors open into another set of stairwells that climb into the patio-sized howdah on Lucy's back. 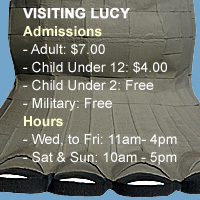 Lucy's eyes are windows (above) that look out on the beach and can be accessed from inside by looking rough the wooden superstructure of her head. Lucy's interior space has been rebuilt several times during the last century. It originally contained an office and tiny restaurant where Victorian-era real estate sales prospects were entertained by James Lafferty, the original builder. Interested parties could climb into the howdah and view the surrounding plots of sand being offering for sale. After Lafferty sold Lucy, the main room was revamped to serve as a small hotel for beach borders. In 1902, an affluent physician fitted out Lucy as a private beach cottage with a kitchen, bedrooms, dining room, proper parlor and a tiny bathroom squeezed into a shoulder void. Later, the interior space was reconfigured as a tavern room where inebriated partrons had to be constantly cautioned not to knock over the oil lanterns that created light, atmosphere and a serious potential fire hazard in New Jersey's most peculiar seaside bar. 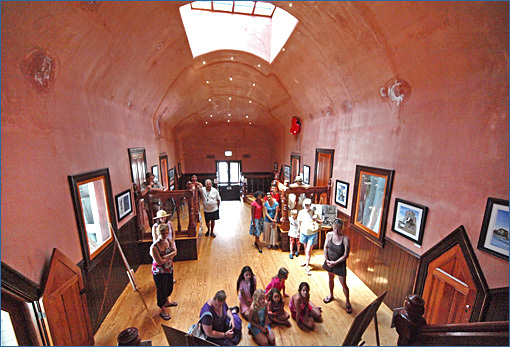 Today, the visitors to Lucy's interior find a museum documenting the unique building's long and colorful history.